What brings you to India? And why would you recommend better parking management in it? This is my third visit to India to try and understand its requirement for Parking Management. I recognise the opportunities that India offers. It has a significant growing middle class, terrible traffic congestion and many cities with a population greater than a million people. Managed parking has resulted in 15 to 30% average improvement in traffic congestion in the West. 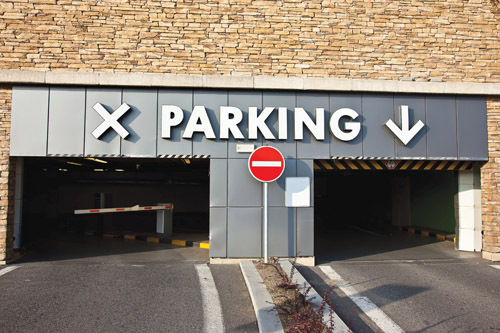 The introduction of parking management also brings along with it a revenue opportunity. So, Indian cities are ideal places for such solutions. After winning the contract for an IT Parking Management system for Abu Dhabi in 2007, we implemented the solution in 2010 and the changes were immediately very visible. It is very similar to Indian cities. Too much congestion, people parking wherever they feel like and clutter of the cities made movement around the cities very difficult leading to further congestion. Since the induction of parking management, a lot of the congestion has gone away and it is now a much more free flowing city. They also generate revenue of around US $2.5million a week. London generates parking revenue of approx. US $1.5 million a day (one billion US$ annually). But then, it is not all about revenue when it comes to India. India has introduced ?parking management? in some cities though I don?t really see it as parking management. They take the assets, i.e., the parking spaces that the city and the municipality own, and sell those spaces to a concessionaire ? for a return to the council, and at minimum cost to a concessionaire ? to run for a period of time. In return, they are happy to take a level of revenue each and every month. Thus, they take away every opportunity of introducing any social change that the city could benefit from, such as systems to manage parking properly. Such systems could reduce congestion and offer a better life to the residents of the city. 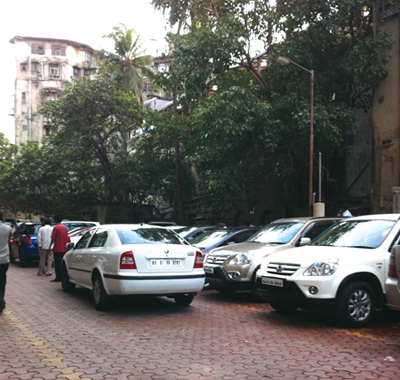 So India, I think, is going in the wrong direction when it comes to introducing parking controls. The administration needs to start looking at parking policies. From these policies, they need to determine what do they actually want out of parking from a city?s perspective: Do they want just revenue? If yes, then the concessionaire approach is fine. But, there are other questions too: Do they want to improve the traffic flow? Do they want to improve the life of the citizens within the city? Do they want to improve the economic life of the city? Do they want to reduce the congestion of the city? And if all or any of those are yes, then they need to look beyond just concession as a means to control parking. What, according to you, should their approach be? They should determine a policy they want to implement, and then look at ways to introduce those policies. The only way to do so for cities the size of Delhi, Mumbai and Bangalore is by introducing systems ? systems that have measured KPIs that report back to the city on a weekly, monthly and yearly basis on how life is improving, how traffic is improving and how the city is benefitting from such measures. They don?t have that today. The only system they have in place today is: How much revenue did I get this month? But that too is not very systematised. The enforcement agencies are either not using their powers to the optimum level, or are misusing them. The enforcement isn?t strict, so people do not fear the law. Absolutely. In case of parking and people adhering to parking rules, there has to be a carrot-and-stick approach. The carrot involves an educational element ? the authorities have to communicate to the public what they are planning to do and the public benefits it will bring. The stick — the authority — has to enforce the actual policy. Initially, the enforcement has to start with a very strict application of the law without which the public will never get the message. Over time, as the public gets to understand the rules, it can be relaxed a little. Exactly. From the point of view of somebody who might get a ticket, it?s delightful to be in such an environment. If I have to pay `100 for an offence, I would park illegally every day here. Your parking fines are the cheapest in the world. And then most of the cases do not go to courts. Only recently, a few cities have begun approaching the courts. Court is the right place to go to when you want to dispute or appeal in such matters but if you don?t have systems, the back-up, enforcement of the law, what evidence would you capture to prove in court that the person in question indeed parked illegally? To some extent, they have begun using ATCs though there is still a long way to go in this regard. The other problem is that there aren?t spaces. That?s one of the greatest myths in parking. It?s not about spaces, it?s about the utilisation of the spaces you have got. If you allow people to park even for a minute more than 30 minutes in the day in your Central Business District (CBD), then you are wasting that space. You need to determine policies around CBD ? it should have a continuous flow of vehicles. People should not be parking there for the entire day. Where do they park if their offices are in such areas? They should be encouraged to use public transport. Or offices / employers should supply off-street parking. It?s a vicious circle then because our public transport system leaves a lot to be desired. But it?s not unique to India. When you free up congestion, public transport has a chance to operate. Every European city has faced this problem in the past. You have to free up the roads before you can get an effective transport system to work. For example, ten years ago in Dublin, the capital city of Ireland, we had a compliance level for parking at 30% in the city centre. Today, there?s a compliance level of 95%, very little congestion and a parking generated revenue stream to pay for such thing as quality-bus-corridors allowing public transport to move freely through the traffic. By the strictest level of enforcement you can imagine. The authorities issued an on-the-spot fine, they put a clamp on the car and immobilised it, or removed the car to a compound. And charged people an enormous fine to have the car released. That?s the way you get public to rethink how they parked. There is no better education than when significant money goes from your wallet into somebody else?s pocket. That?s the best education ever. People realise: ?I have to pay a big amount of money out of my wallet to this person because I parked illegally?. True but we are, still, a society in transition. Old systems are fading away, newer ones are coming in, there?s resistance to newer systems, and you need a complete overhauling of the political mindset. You are absolutely right. However, your economy is growing at a phenomenal rate. You can?t afford the luxury of taking time to transition. So there needs to be a leapfrogging effect similar to what was done in Abu Dhabi. Somebody at the top has to say: ?Enough is enough, we are going to do things differently and I?m going to make it happen?. The disconnect between the public and decision makers has to be bridged. Systems must be introduced that measure accountability, and at the same time, generate revenue and improve the quality of life within the city. GlobeTech has the solutions to do that. And I would like to work with appropriate cities that want to implement such solutions. 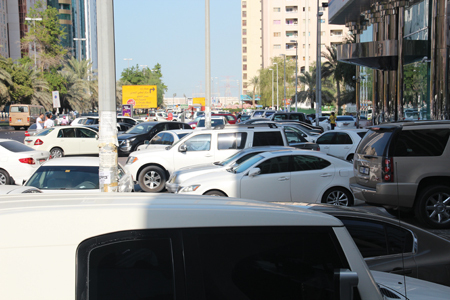 (Kevin Kelly writes a case study on the next page on how his company transformed the parking scene in Abu Dhabi).